A little late in the game with this one since its April already and St Patrick's day just passed, but what can we do. Its still a delicious cocktail. 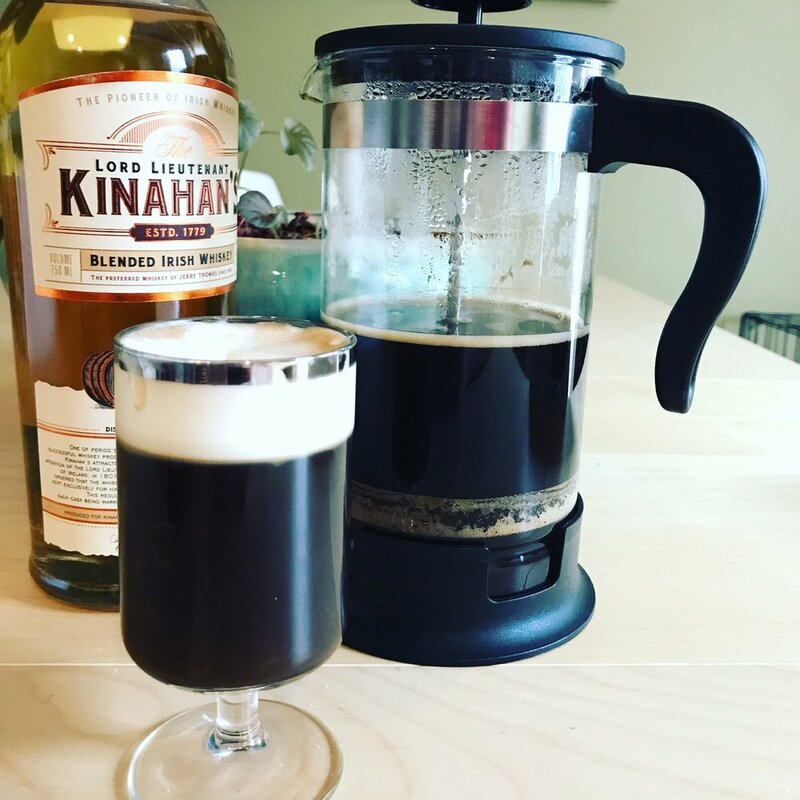 This Irish Whiskey, coffee and whipped cream drink was, according to some research I made while drinking Irish Coffee, created for some passengers in need of something strong after a failed trip. Basically the equivalent of a flight delay without the the flight attendants beating you up, can we all say United? According to the story, the bartender added some Irish whiskey to the coffee to warm the customers up and when they asked if that was Brazilian coffee, he said its "Irish Coffee". One of my favorite versions is the Frozen Irish Coffee found at Erin Rose in New Orleans. Make sure you ask for an extra shot of Fernet Branca on it. Also, while you are there, go to the back of the bar and ask for a shrimp Po Boy or a pork belly Po Boy, trust me, you wont regret it. This recipe is not frozen, but its not half bad as an option for your brunch instead of a mimosa. Pour Irish Whiskey and sugar syrup in a coffee mug. Pour hot coffee and top off with light whipped cream.